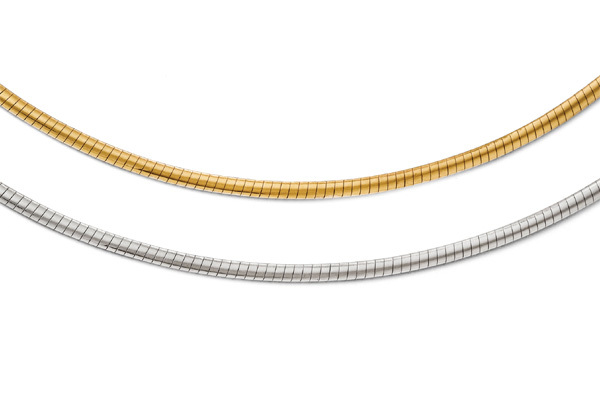 2.5mm Reversible 14K Two-Tone Gold Omega Necklace in 16"
It's hard to find a quality reversible omega necklace in 14k two-tone gold, but Apples of Gold Jewelry, has them available in 2.5mm width and 16" length. 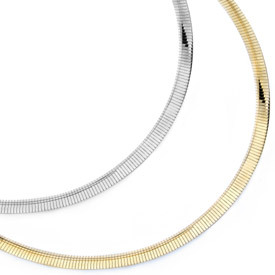 Made of all 14k gold, this is a classic omega necklace but reversible, with yellow gold on one side and white gold on the other. 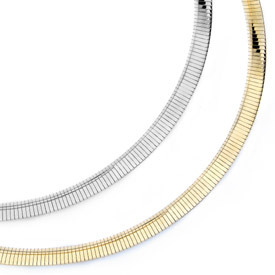 Our omega necklaces are also made in Italy, known in the jewelry industry for manufacturing high quality fine gold jewelry. The omega necklace weighs approx. 10.19 grams of 14k gold. Includes industry-standard, secure lobster-claw clasp closure. 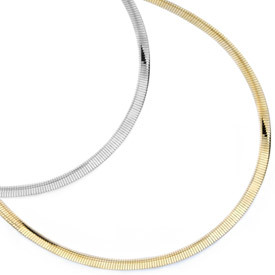 We guarantee our 2.5mm Reversible 14K Two-Tone Gold Omega Necklace in 16" to be high quality, authentic jewelry, as described above.